Editor’s note: Legendary investor Vinod Khosla is the founder of Khosla Ventures. You can follow him on Twitter @vkhosla. Most VCs pitch their venture firms as value added to a company’s entrepreneurial founders. Personally, I think leading VC firms do a pretty good job of being supportive of their companies, and most entrepreneurs funded by good funds like their investors. But, on the question of “value added,” most venture capitalists, even among the leading firms, are pretty passive and ineffective when it comes to assisting companies. In my view, many if not most of them haven’t done enough in their careers to earn the right to advise entrepreneurs, a job I consider laden with responsibility. A lot of VCs, especially those from the more financially oriented firms, do more harm to startups than good when they get themselves on company boards without ever having built a company themselves, or seeing one from the inside. What value can a VC as board member add to a company? We constantly ask our young guys (who are monitored pretty closely if they go on a board and are in learning versus advising mode and mostly are at Khosla Ventures for three years before they go out and be entrepreneurs themselves) is “What have you done to earn the right to advise entrepreneurs?” I don’t want entrepreneurs to get inexperienced advice on important matters. 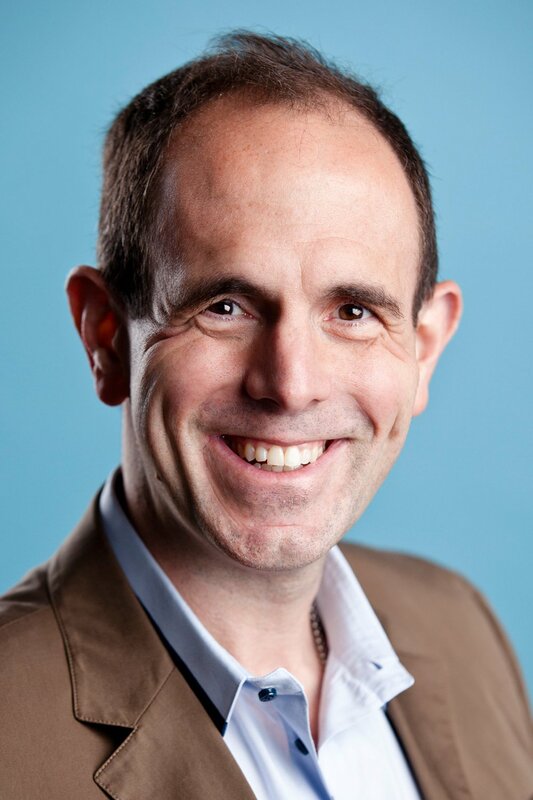 Our belief in bringing the best resources to our companies is why we’re very excited about the newest addition to the Khosla Ventures team: Keith Rabois. While recruiting him to join us, what I kept asking myself wasn’t whether he’d be a great investor (which he is), but rather whether he’d be sought out by entrepreneurs as a mentor, advisor, and board member. Almost all our reference-checking was done with entrepreneurs (successful and aspiring, seasoned and first-timers), not other investors. The reference checks repeatedly elicited feedback like “He asks the toughest questions”; “He pushes me the most and makes me think”; “He’s always there when I need help”; “Most valuable among all my board members and advisors”; “Doesn’t just tell me what I want to hear”; “Can imagine the future”; “Helps with recruiting”; and on and on. As an entrepreneur and operator at PayPal, LinkedIn, Slide, Square, and other places, and as a mentor to many startups over the years, Keith has earned the right to advise entrepreneurs. He knows, through PayPal and Square, what growth looks and feels like, and he knows what entrepreneurial struggles feel like through his experience at Slide. He knows how to advise entrepreneurs on hiring/firing, running teams, managing funding, when/how to control burn rate, and making other tough management decisions in the real environment of startups. He’s a practical hands-on kind of guy in growing companies, and he fits Khosla Ventures’ “venture assistance model” of people who have earned the right to advise entrepreneurs. That leads me to one of my favorite questions around younger entrepreneurial companies: What is the role of a board member? The right advisor asks the questions you never knew were important. Good board members add many kinds of strategic value that’s critical to building a successful company, and they do it in multiple ways. Most of us don’t know what we don’t know when operating in a new area. The right advisor asks the questions you never knew were important. They serve as guides, helping you navigate the difficult road of building a company from the ground up, spotting things that an entrepreneur might otherwise miss (risks and opportunities alike). They carry with them an extensive network that they can bring to bear on all the different problems and challenges that might crop up along the way, whether it’s finding a critical hire with the perfect match of skills and experience or getting a company a make-or-break meeting with a decision-maker at a potential marquee customer. At Khosla Ventures, our “operating partners” are part of our philosophy of offering real targeted help, whether it’s teaching entrepreneurs how to build recruiting orgs that get the best talent or helping craft marketing strategies around new product launches. Good board members also bring different skills and points of view, developed though years of experiences (and failures). They force companies to address the toughest make-or-break issues before it’s too late, and they push entrepreneurs to greater heights than they might reach themselves. Having this kind of advisor as your coach is like turbo-charging your entrepreneurial engine from the sidelines. Entrepreneurs usually deal with many problems at the same time, and being a CEO is a very lonely job. They’re often so buried in the details, whether things are going great or poorly, that they fail to look up over the horizon. The job of a good board member and advisor (I use these terms interchangeably) is to help teams raise their heads and spot oncoming problems, scope out hidden opportunities, and get a broader perspective. If things are going great, anticipating problems is even more important since overconfidence can kill a company. Challenging the team to think about risks or position some long-term assets can make a big difference in helping an entrepreneur “create” a larger opportunity. Asking questions that an entrepreneur does not want to hear is an equally important role, and having advisors who’ve made mistakes before helps. I often talk about my lessons from years of screwing up. The value of diversity in a team and engineering the gene pool of a team to the risks and opportunities it faces are critical factors that good advisors can bring to a first-time entrepreneur. Understanding how to avoid needing to hire a CEO or what to do when you need to hire a CEO are all better informed by a wealth of previous mistakes. I often say I have a larger collection of personal mistakes than most people in the venture business. How do I measure my partners and myself? If with our advice, prodding and challenging, a team does not expand its opportunity by 2x or more, or if we have not pushed a team to recruit at higher levels than they would have without us or gotten unreachable candidates to consider the company (a company in my view becomes the people it hires), or if we have not helped a team grab opportunities (strategic or tactical big customers) or address risks earlier than they otherwise would have, then we have not added value. We have not done our job. Our goal isn’t to be the nicest among all investors, but rather to push teams to be as great as they can be, to help them see hard reality and the risks coming their way, and to press them to worry about burn rate or accelerate their spending depending upon the circumstances. By the same token, though we can push teams hard (sometimes other VCs will say we push them too much, but these are the passive VCs along for the ride), we are extremely loyal to companies and entrepreneurs who we are engaged with closely (in especially hard circumstances, more so than most VC firms). Good entrepreneurship is like having a delicate recipe cooked by an expert chef with ingredients added in the right amounts at the right time. Even more critically, in almost three decades of being on boards and advising companies, I have never once voted against what a team wants to do, even when I strongly disagree with their choice. I will debate every issue hard and push my point of view but leave the final decision to the team. I don’t believe boards of entrepreneurial private companies should ever vote (except on the one issue of hiring and firing the CEO). If the team doesn’t believe in what the board voted on, then they won’t be successful at implementing it. The team that spends 80 hours a week working on a company, understanding all the nuances of the hundred things going on, and being responsible for implementing a decision, should make the decision (not the board that drops in casually every six or eight weeks). The more I believe a team is going the wrong way in their approach, the more I will bug them, push them, cajole them, and plead with them, but I always suggest I and other advisors/board members stop short of making the decision for the team. Decision-making should be a sharp line no board should cross. If a team knows the decision will be left to them, you get much more honest input and feedback, open discussion and vigorous (and sometimes uncomfortable) debate, better understanding of fears and opportunities, and more transparent self-assessments. I find many boards do the opposite by not engaging intimately with teams but still trying to vote on what companies should do. And occasionally, when I find I don’t have good chemistry with a team, I often bow out and let them go their own way and stop being active in the company. Not every relationship is fun and one has to acknowledge that. If a team does not want help, we don’t want to provide it. In contrast to this personal view of an ideal board, many boards are often polite and agreeable, in many cases to a fault. In one instance, a board I was on did not tell a company (which was well-financed and had $45 million in the bank) that they did not believe in the plan the team was pursuing. The board members were nice, friendly cheerleaders. I was almost isolated in my view. Three years later and after many wasted years of many lives, the company was sold for $3 million and the team was fired almost immediately after the acquisition. I swore I would not let this happen again and have since carried the statement “we prefer brutal honesty to hypocritical politeness” on our website. Instead of focusing on regular board “governance” (an activity I think is only minimally needed in good startups), I ask CEOs to focus on the most critical and pivotal risks, questions, and opportunities facing the company. Boards should challenge teams to be bigger, better, and more cautious or more ambitious as appropriate, almost to the limit (but no more) of an entrepreneur’s comfort and capability. They should make entrepreneurs think hard and critically. They should have the ability to understand a company’s business well enough to brainstorm strategy in a way the team not only respects but seeks out. I hope every one of my partners brings this to the boards they are on, and I hope entrepreneurs value this as much as I think they should. Some of the good entrepreneurs we talked to about Keith Rabois told us he was their toughest critic and their hardest questioner, and that made him even more attractive to us at Khosla Ventures. We want entrepreneurs to achieve all they can and avoid as many risks as possible. Good entrepreneurs should want activist, thoughtful, loyal, and experienced board members who are also respectful and deferential without being hypocritical nice guys. Incidentally, the less confident, more self-focused (rather than company mission-focused) an entrepreneur is, the more they prefer to be left alone. What else can a great board member like Keith bring to the party? Understanding a new space, having the imagination to imagine the possible, and guiding very lean startup-like experiments to move toward those goals while not assuming every strategy will work the first time. Most successful plans go through many twists, turns and evolutions, a fact seldom recognized by linear-thinking, “are you meeting your plan”-type of board members. Real experience working in startups sensitizes a board member to these realities of startup life. Good advisors have startup experience themselves. Good advisors and board members help entrepreneurs avoid mistakes they might not see because they’re heads down focused on trying to build their business. Good advisors have also done a lot of hiring and know what to look for. I have seen boards put together naïve, almost clinical hiring specs that look like something out of Business 101. Real life is much more complex, nuanced and flexible, and unless you have made enough mistakes in hiring (I assume I cannot do better than a 66 percent success rate in judging how good a hire will be), you don’t know how to advise a team in my view. Hiring may be the most critical thing a company does (if you believe as I do that a company “becomes the people they hire”) and experience in “success and failure factors” in recruiting as well as the “credibility to attract the unreachable candidates” becomes among the most important thing a company’s board contributes. I still spend more time recruiting for our companies (even down to individual critical engineers when needed) than any other single activity. Good advisors and board members help entrepreneurs avoid mistakes they might not see because they’re heads down focused on trying to build their business. Board members should serve as a trusted inner-circle of advisors that motivate company management to self-assess and improve, and good boards help founder CEOs scale by helping them build the right teams to support them. Sometimes companies need to spend time doing down-the-road planning and sometimes they need to focus on just getting stuff done for the next six months. Good boards know the difference, and they know what’s important when. At Khosla Ventures, we encourage our entrepreneurs to do regular 360 reviews, think about gene-pool engineering, do risk analysis, focus on measurable goal setting, conduct honest competitive analysis, execute RIFLE market analysis when needed, and, most importantly, do rigorous “If-then financial planning.” We call these processes our “standard operating procedures” and, once a quarter, decide for each company at our internal meeting which of these are most relevant to direct a team’s attention to. Good entrepreneurship is like having a delicate recipe cooked by an expert chef with ingredients added in the right amounts at the right time. The recipe for startup success is tough to intuit on your own without the help of good advisors. Those advisors don’t make decisions for management. Their only role is to assist entrepreneurs by giving honest advice, even when it’s uncomfortable to hear. They’re not there for governance, making decisions or casting votes. They’re there to listen, argue, debate and guide, but leave the final decision to the team that’s going to have to execute it. In the end, advisors should push and challenge without ever making a team feel like they cannot make the final calls or that a board member’s interests diverge from theirs. We never refer to ourselves as venture capitalists. We try to be “venture assistants.” Getting good advice is much more important than getting funding. It’s much easier to get money than get the right kind of advice. Making all of the judgment calls that running a startup entails is where having the right advisors really matters. There’s a delicate balancing act between technology, innovation, experience, burn rate, and many other factors that are seldom appreciated by people who have not built large, successful companies that started out small. And having the right kind of help to manage that balancing act creates step-function-type changes in a company’s trajectory. It’s the difference between building a hundred-million-dollar business and a billion-dollar business.